Crawley Cricket Club won promotion from Sussex League Division Four when they they beat Slinfold by 99 runs. Harry Chaudhary played a captain’s innings with 73 runs, putting on 54 for the sixth wicket with Warren Schulze. 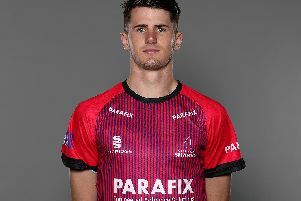 Opener Paul Clifford scored 34 as Crawley set a target of 178. Chaudhary then spun his way to 4-37 while Kasif Naveed also took 3-18 as Crawley dismissed promotion rivals Slinfold for 79. Crawley finished in second place behind champions Mayfield with one game to go. Delighted Chaudhary said: “I’m very pleased. It’s taken four years and its been a long journey. Chaudhary himself shone with the ball, taking 49 wickets and is the highest wicket-taker in the division with 49 wickets, while Paul Clifford did really well too so far taking 41 wickets which could see him finish second highest in the division. Chaudhary announced he is stepping down as skipper for next season for family reasons but will continue to play. This Saturday Crawley visit Southwater for their final game of the season.